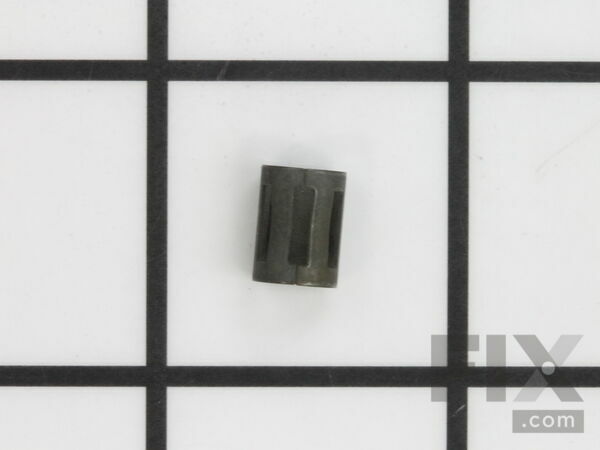 Part Number WE1X980 replaces: 274950, AP2041989, WE01X0980. Dryer knob was cracked and would not turn the timer. Super easy...just pulled off the cracked knob and replaced with the new knob. I pulled old knob off and removed insert clip from post with pliers. Then pushed new knob on. Replaced broken timer switch and knob. Very easy fix. Parts were exactly what was needed.They arrived in the time frame promised. They were an exact fit. The online instructions were helpful! Will definitely use this site again. First don't waste money on buying the D-Shaped Knob Insert Clip. The new knob comes with one already, If I knew this I could have saved money. It takes less than one minute to put the new knob on. Just line up the flat sides and slide it on. The plus side is now it works better than when it was brand new! guess it came with a faulty timer knob from the factory. The original knob was kinda hard to turn now its easy and smooth. After dropping the top of the dryer I found the problem ordered the part and replaced the timer now working and like new.. Thank you.. The diagram is wrong!!!! The timer knob is much bigger. Had to have GE come out to get right part. There was 3 screws on top back of dryer holding cover on. I removed the cover, unplugged the old timer, replaced cover, and was finished. Dryer runs great. Took a total of 10 minutes. originally the know broke, then we used pliers to twist the timer until it broke. Fix was simple, removed 2 screws, tilted the control face forward, removed the old timer, pulled off the wires and replaced in exact position on new timer switch, replaced new timer, put back in the screws and put on the new knob. Like new.